Portugal is the second country in the list of touristic “Mecca” of Europe after Spain. The climate here is so relaxing that you can visit this beautiful country at any time of the year. Besides, you are of course welcome to travel along its roads to make for yourself the most complete picture of Portugal. 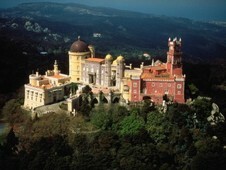 There is a large number of attractions in the capital of the country, Lisbon. However, the ancient town of Porto, from which name comes the word “Portugal”, is also worth visiting. Upon your arrival to Lisbon you can easily hire a car right in the airport of Portugal, in order not to be constrained by any timeframes. Afterwards — bon voyage! While we will tell you how to avoid possible troubles on the country roads. Moving along the contraflow lane in a street with the single traffic direction will cost you € 250-1250. Penalties for the speed limit exceeding are inflicted in this country depending on how much you have exceeded the speed limit. Besides, the penalties for speed exceeding performed inside a built-up area differ essentially from those performed outside of it. In general, your search for the available free car parking spaces in Portugal may become stalled, especially it concerns Lisbon. The streets in the city are narrow, that is why it will be a bit complicated to «stick» your car on free bases. In this case it is better to use a fee-paid parking zone equipped with self-serving, automated devices, while the penalty for a wrongly parked car is pretty high from €30 to €150. At the same time, an hour of safe parking will cost you €1,2. More than that, the parking rules in Portugal are diverse and can be changed depending on several factors. So, it is recommended to be very careful! In case the blood alcohol level reaches 1,2‰, your driver’s license will be deprived for 3 years and you may even appear in prison. The phone talks should be performed only by means of wireless communication devices. The diesel fuel — €1,40. The Portuguese roads and some bridges are fee-based constructions. Herewith the toll payment procedure is quite convenient. It can be performed either by electronic funds transfers or by cash. The express roads are divided into lanes. Some of them are intended only for the municipal transport running. Besides, all the lanes are marked with special signs, which graphically demonstrate the right method of toll payment assigned for each concrete lane. Lisbon from 8 eur a day.